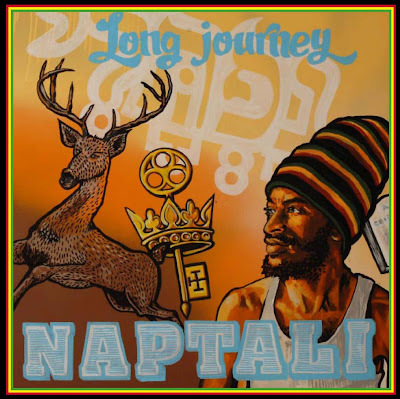 Though he has been honing his craft since 1995, Jamaican artiste Naptali is certainly not a household name in the mansion of Reggae Music. The man hailing from Delacree Park, Kingston 13 was born and raised in Spaulding, Clarendon in the month of January. From an early age he was destined to explore his musical talents. In 2000 this man from Clarendon made the trip to the Mecca of Jamaican music, Kingston, a place he would call home. It was here that he became accquianted with the legendary 'Jah Messanger' Luciano in 2003. After beholding the young singer's gift and infinite potential, Luciano provided the youngster with guidance and encouragement, which helped him nurture his talent. It was Luciano who, upon realizing that this young prodigy was born in the month of January and was thus a Capricornian, bestowed upon him the moniker 'Naptali' marking an important step in his musical journey. Naptali and the producers of Oneness Records (Oneness and General Key Riddims) met by chance in Germany when Naptali was visiting the country to see his cousin. Naptali heard the live riddims by the Oneness band and decided he really felt the vibe and energy. The mutual love for roots reggae music and a special connection between the artiste and the band resulted in the idea of the album project and now in the release of this roots album 'Long Journey'. The majority of tracks on the album are produced and recorded with a live band. Naptali’s unique voice adds the spice to create an outstanding and beautiful roots album. The record begins with the classic, one drop boomshot 'Show Dem Love'. Naptali's voice is silky smooth on this impassioned plea to comfort the youths of today with love and a good example. Solid tunes continue, including the title track 'Long Journey' and the bad boys-esque 'Fire Burn'. 'Rise Up In the Morning' is a positive ode to the Most High over a pulsating riddim reminiscent of Aswad's 'Dub Fire'. On 'Redeemer' and 'We The People' Naptali rides two bubblin' riddims with nuff skill, coupled with faith-inspiring and unifying lyrics. The beautiful, nyabinghi -styled 'Seven Brothers' closes a nice set by showcasing Naptali's singing ability. Woven throughout 'Long Journey' are several combination tunes featuring the likes of Arofat and Sara Lugo, newcomers on the reggae scene ('Grandma' and 'And They Cry', respectively), as well as roots veterans like Lutan Fyah ('More Love') and Luciano ('Seven Miles'). Nice Tunes! Big Up Naptali! Big Up Oneness! Forward Reggae Music! Informant paid to snare Buju?